Parts for sale made by our club members. We have a lot of good craftsmen amongst our riders. 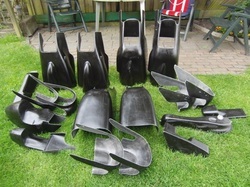 Uleke Hoogeveen produces various fairings ,tanks and seats in epoxy resin. 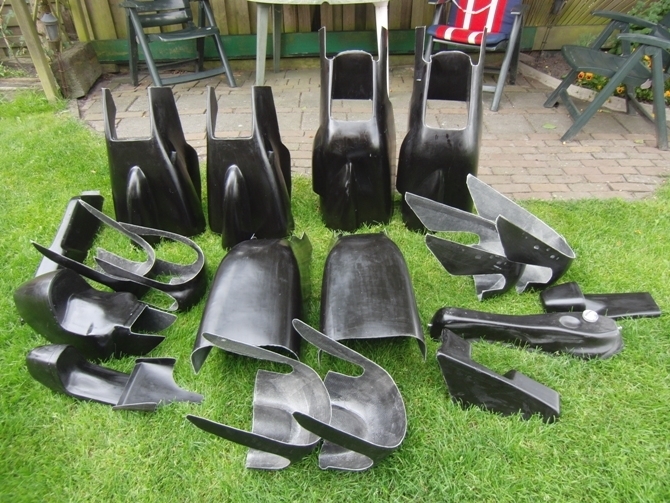 Amongst the produced parts are all Van Veen-Kreidler items. But also Jamathi moped ,Van Veen motocross or the Emot-Casal tank. Wil Doodeman sells two sizes of window screens for 50cc racers. Also makes exhausts ,frames and engine parts. Peter Müller makes his famous ZM-Kreidler frames. Also selling and designing gearbox parts for close ratio gearboxes. Building and rebuilding Kreidler racing engines. Jaap Groot is your contact for Bridgestone 50cc racing tyres 2.00 and 2.25-18. Stanko Markotic does paint jobs for racebikes. Quality work for friendly price.